This is a world away from bland mushy shop bought guacamole. It has a bit of a kick - it can easily be made more or less spicy by changing the amount of chilli used. 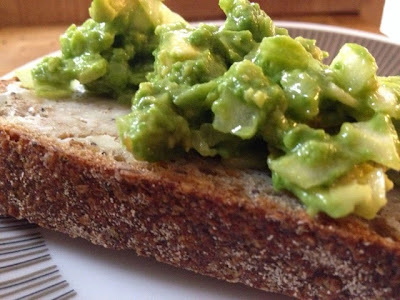 You could mash the avocado to create a very smooth texture but it also works well with a coarser finish with some small chunks of avocado.